5 Things You Need To Know Before Buying A Home Security System | Calgary Alarm Inc.
Over the past several years the sophistication and integration capabilities of home security systems have increased while becoming more affordable. Wireless technology has been a tremendous revolutionizing force in the world of cameras, motion detection and other home security functions, and has made these systems more accessible and affordable. 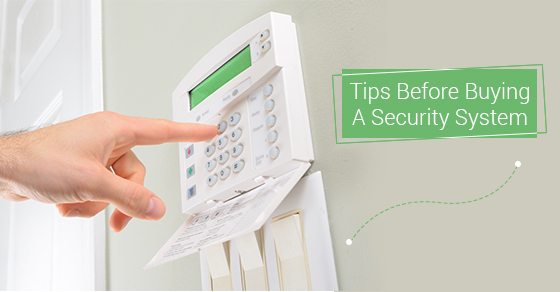 Before you decide on a set-up, here are 5 things you need to know before buying a home security system. How comprehensive a system do you want? Will your system be exclusively for indoor or outdoor use, or both? What type of security are you looking to provide for your home and family? Is it to keep an eye on the babysitter, or to make sure your children are safe when they get home from school? What features are important to you? Are you looking for a completely wireless setup that you can access from a remote device anytime, anywhere? Do you need black and white or colour recording cameras? What will the radius and scanning ranges of your cameras be? Compare contracts. If you decide upon an integrated theft prevention system that combines alarms, camera functions, and authority notification, make sure to shop around for prices. There are a wide range of options on the market and there has been an explosion in the number of service providers as the technology has developed. Know what sort of insurance coverage a provider has, as well as any of the recurring fees you may be required to pay apart from the initial setup and service costs. What is the verification process? Who and how a security company gets in touch in the event of an alarm is valuable information. Is the company’s first response to call the home? Are there measures in place to determine they are speaking to the right person/people? What are the backup options should you be unreachable? How much responsibility are you willing to take on? A technologically advanced, integrated smart home monitoring system is constantly carrying out a wide range of tasks. They come with varying amounts of equipment and hardware that you must check and use on a daily basis, usually before leaving and when entering your house. Depending on how comprehensive and sophisticated the system is, they demand a certain amount of engagement on the owner’s part. Most people who have installed home security systems report an overall increase in their peace of mind and comfort level when leaving their homes both on a daily basis, or for extended periods of time. Having security systems installed can be a great idea, especially as a family grows, older or newer members start requiring extra care or help, or when theft and break-and-enter statistics in your area become cause for concern. Purchasing one is not something to rush into, but if you spend some time, establish your security aims and criteria, and consult the wealth of information available online, you can make a well-informed decision you will be happy with long-term.